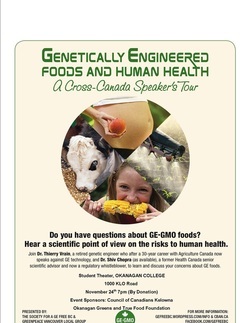 On November 24th 2013 Our Chapter held a very successful event as part of the GE Foods and Human Health Cross Canada Tour. Here are the videos tour wrangler and media man, Tony Mitra made of the event . Thank you Tony for sharing these with our website visitors!